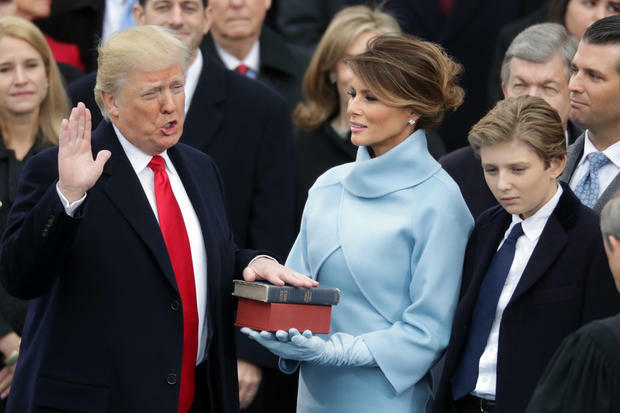 Donald Trump, who was elected President of the United States on November 8th, 2016, was read into office on January 20th, 2017. Immediately after taking office, Trump’s first decision was signing an executive order to undo the Affordable Care Act. On October 1st, 2017, Stephen Paddock, who later committed suicide, opened fire at the Route 91 Harvest Music Festival, killing 58 people and injuring 546 others. The Las Vegas shooting is considered the deadliest mass shooting in modern U.S. history. Stemming from the approval to remove the stature of Confederate General Robert E. Lee, protesters gathered in Charlottesville at a rally organized by Jason Kessler. During the rally. A man who was linked to white-supremacist groups, rammed his car into a crowd of counter-protesters, killing 1 person and injuring 19 others. Hurricane Harvey, Irma, and Maria, all of which occurred in the time span of a month, were some of the deadliest hurricanes the U.S. had ever seen. Their paths decimated entire islands creating hundreds of billions of dollars in damages. In October 2017, a series of wildfires spread across the state of California, burning more than 245,000 acres of land and destroying at least 3,500 homes. Perfect weather conditions caused the deadly event, forcing at least one hundred thousand people to evacuate. On August 21, 2017, the United States experienced a total solar eclipse that spanned from Lincoln Beach, Oregon to Charleston, South Carolina. Along the path of totality, the moon completely covered the sun, allowing the sun’s corona to be visible. Despite strict sanctions place on North Korea by the U.N., they’ve been continuously testing various long-range missiles. Although many of their early tests were failures, recently they’ve had success with a long-range missile which landed in Japan’s exclusive economic zone. Hundreds of thousands of Rohingya refugees have been fleeing from Myanmar (Burma) to the neighboring country of Bangladesh. The refugees that have made it across the border tell of human right violations while thousands more are still stuck in Myanmar. On November 24th, 2017, a bomb and gun attack occurred at the al Rawdah Sufi mosque in northern Sinai, killing 305 people and wounding another 128. Around 40 gunmen attacked the mosque and opened fire during fire prayers. On May 7th, 2017, liberal leader Emmanuel Macron won the French election against conservative Marine Le Pen, 66.9% to 33.1%. He is France’s youngest leader since Napoleon Bonaparte who was the leader of the French Empire.